Six or seven years ago, The Buffalo Broadcasters threw out a bunch of 16mm newsfilm that had begun to degrade and could no longer be played. I garbage picked it, and pulled apart the reels to look for the good frames here and there. 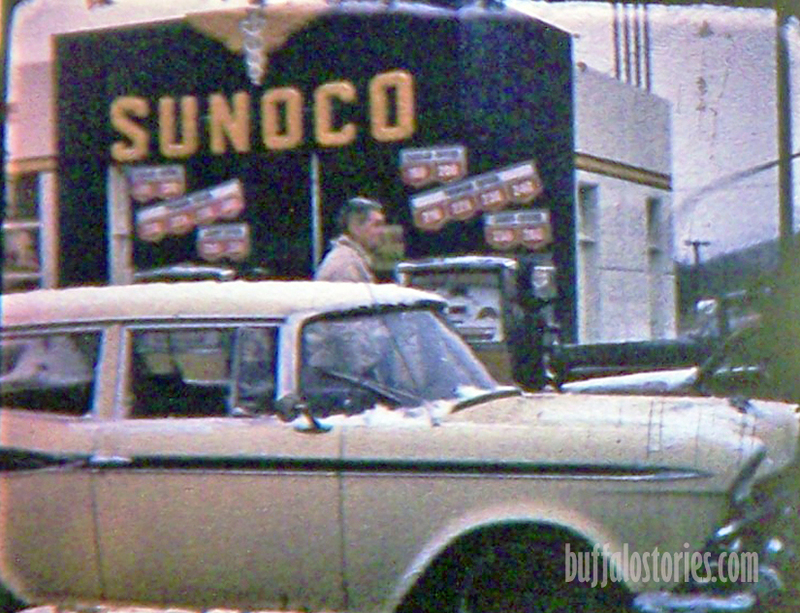 There was no brick oven pizza, flat screen TVs, or lattes at these gas stations. You got gasoline, maybe some oil, from a guy with a workingman’s filth under his nails. 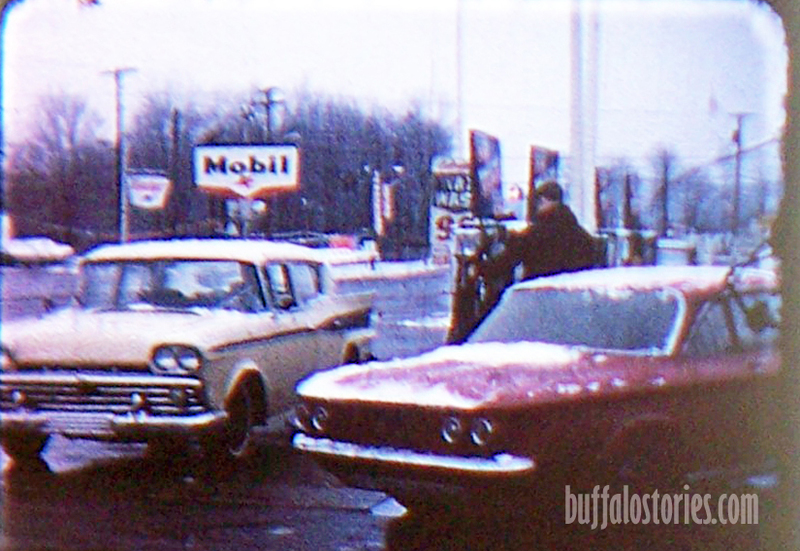 You paid at the pump when you gave him five bucks and told him to fill’er up and keep the change. There is plenty more of this “garbage film,” and in some a bunch of cases, even a few seconds of good video was pulled from it. In a few cases, the grisly look of the film that was tossed was no indication that it actually played back well. The more to come sign is up, here.